Old-fashioned Inn, Favorite of Shimazaki Toson. A Quiet Retreat for Adults. In 1898, the Nakadana Mineral Spring was discovered and its waters became known for their healing effects. 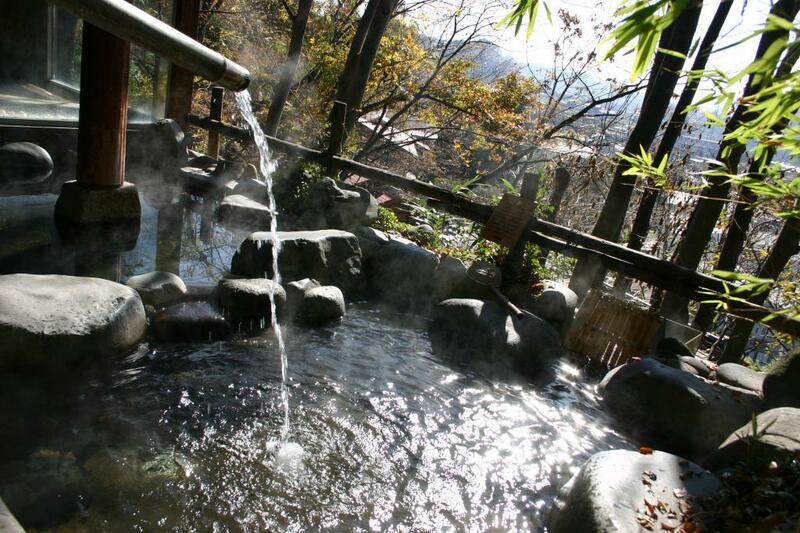 Literary great Shimazaki Toson was a fan, and is rumored to have helped with boring the mineral spring well. 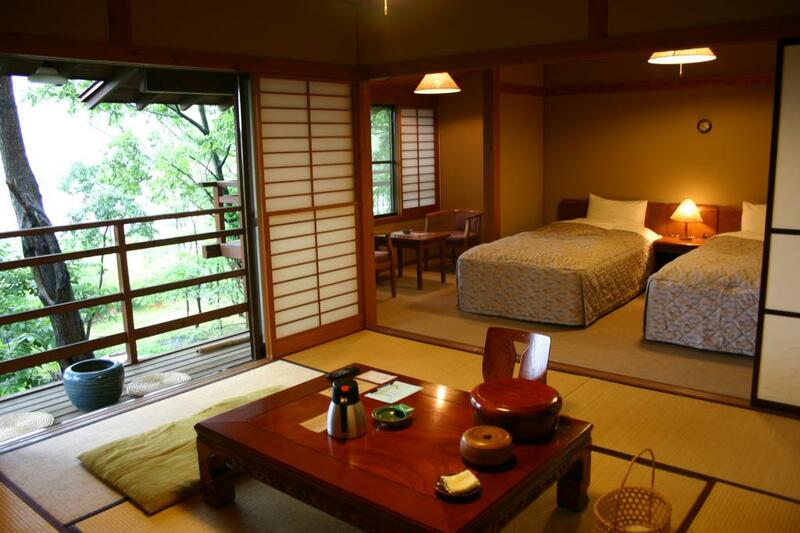 The inn, Nakadanasou, was founded on this spot and is made up of 3 buildings, the Edo-era original homestead "Harikoshi-tei" (registered National Historical Landmark), modern "Heisei-kan", and Meiji-era "Taisho-kan". The onsen bath features a changing area with tatami mat flooring and outdoor baths high up on a hillside surrounded by a woods that comes alive in spring with cherry blossoms. 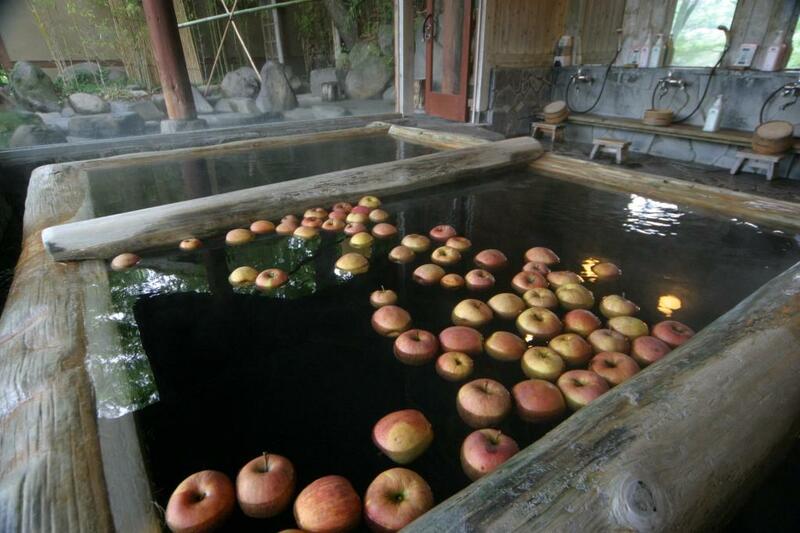 From October to May, apples are floated in the bath with the theme, "First Love". Nakadanasou's kaiseki dinners are their chef's original creation and feature locally-grown ingredients. 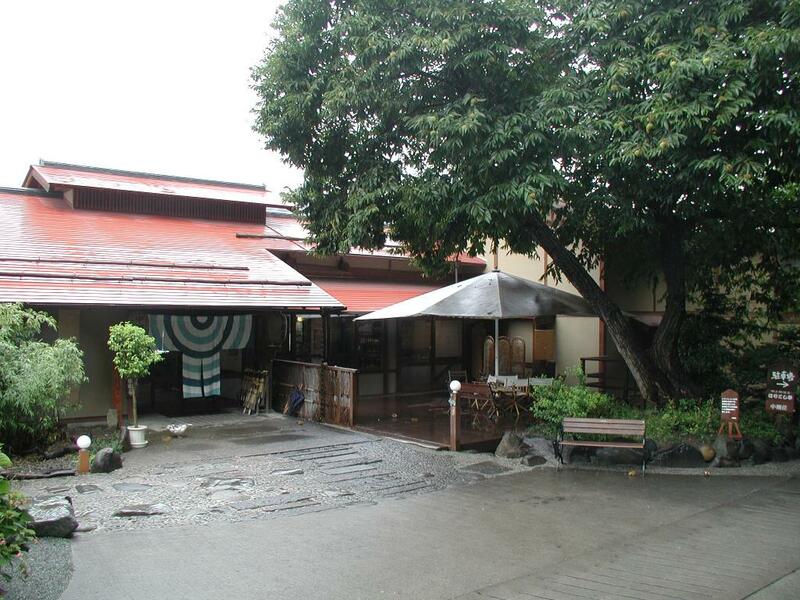 Harikoshi-tei is a restaurant for day-use guests. From Komoro Station(Shinano Railway), 20 min on foot or 5 min by taxi. Free pick-up for groups of 10 or more (prior arrangement required). From Komoro IC, Cross Route 18 and turn right at the first light past Kaikoen. Approx. 7 min. 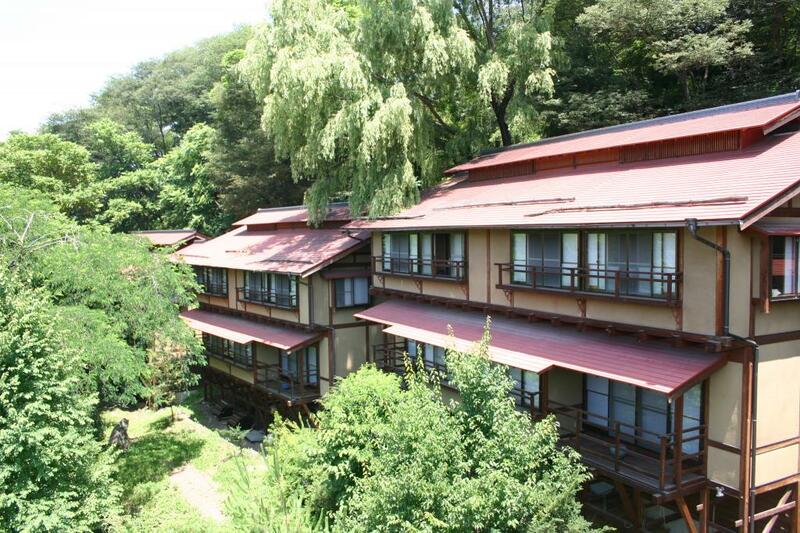 Mountainside Tokiwakan in Komoro : Ride a Cable Car to an Above-The-Clouds Outdoor Onsen Bath. 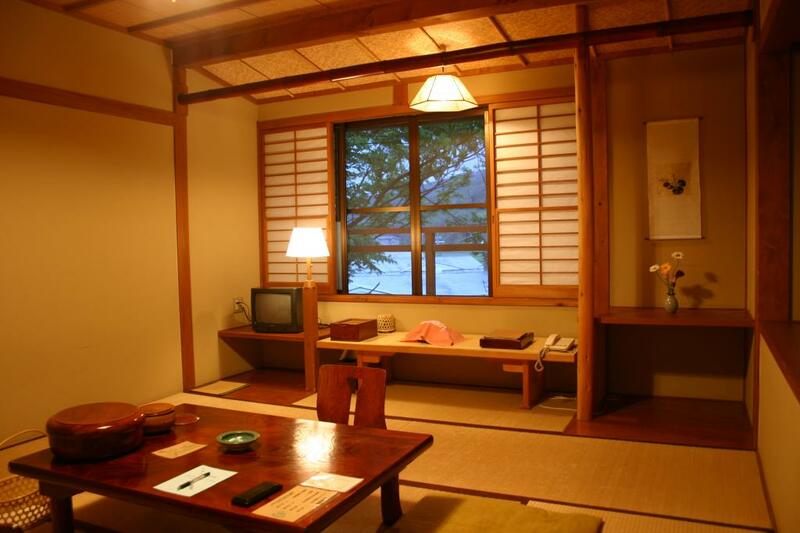 Takamine Onsen "Lamp Inn" : Romantic “Oil Lamp”-themed inn located at 2000 m featuring a panoramic “Above-the-Clouds” Bath.